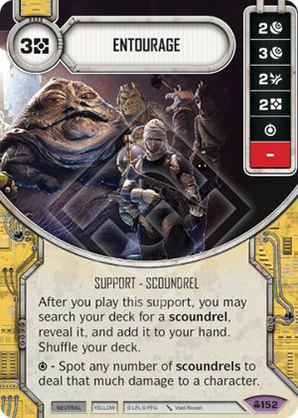 Support - Scoundrel. Cost: 3. After you play this support, you may search your deck for a scoundrel, reveal it, and add it to your hand. Shuffle your deck. - Spot any number of scoundrels to deal that much damage to a character.